Today, 26th June, is the UN’s International Day Against Drug Abuse and Illicit Trafficking, a day for governments to “celebrate” the war on drugs – which some of them do by executing drug offenders. “Support. Don't Punish”, a global advocacy campaign calling for an end to the criminalisation of people who use drugs (and supported by Transform), is seeking to reclaim the day, through a series of protests in 26 major cities around the world. The protests are intended to raise awareness of the need for more humane and effective policies that prioritise the health and welfare of people who use drugs, and their families and communities. 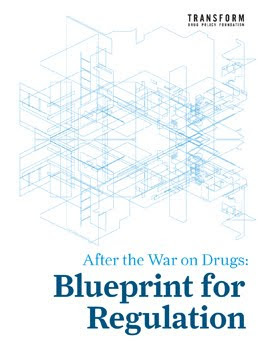 Highlighting the need for such a policy shift, the UNODC today also released its annual World Drug Report (PDF), along with its new, somewhat optimistically – and clunkily – titled campaign, “Make health your ‘new high’ in life, not drugs” (don’t take that pill; have a salad instead!). But according to the UNODC, violence, human rights abuses and a failure to meet its stated aims aren’t sufficient to warrant a meaningful change to the current approach to drugs. 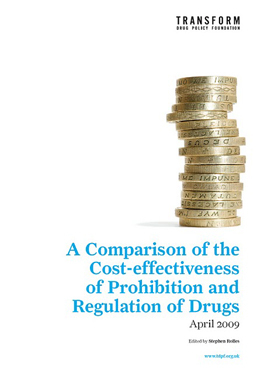 As they state: “The real issue is not to amend the [UN drug] Conventions, but to implement them according to their underlying spirit.” So basically, keep pressing on with more of the same, despite more than 50 years of failure. 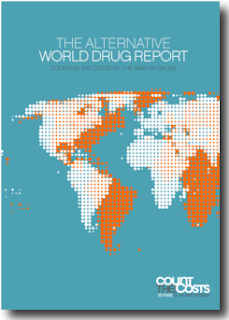 To read more about the extent of this failure, and what could be done about it, download the Alternative World Drug Report, produced last year by the Count the Costs initiative (now supported by over 100 NGOs) to tell the other side of the drugs story to the one told by the UNODC. The two initiatives launched today present us with a stark choice – support, or punish. They are totally incompatible, despite UNODC’s protestations to the contrary. Silence is not an option. Transform urges those currently trying to straddle a non-existent fence in the debate, to oppose punishment and support humane, just and effective drug policies.